Part 1 of a two-part workshop supports Superintendents and Board Presidents in defining and preparing for their evaluation. This workshop is for the Superintendents who will be evaluated using the School ADvance Administrator Evaluation System. Part 2 of the Board workshop supports school boards in their work of evaluating their superintendent. 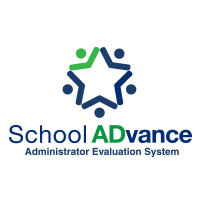 This workshop is for ALL board members who will evaluate the Superintendent AND the superintendent who will be evaluated using the School ADvance Administrator Evaluation System. This workshop will also support new board members joining an evaluation team that is currently trained in the School ADvance evaluation process. Attending this workshop will meet the qualifications of being trained in the evaluation tool.